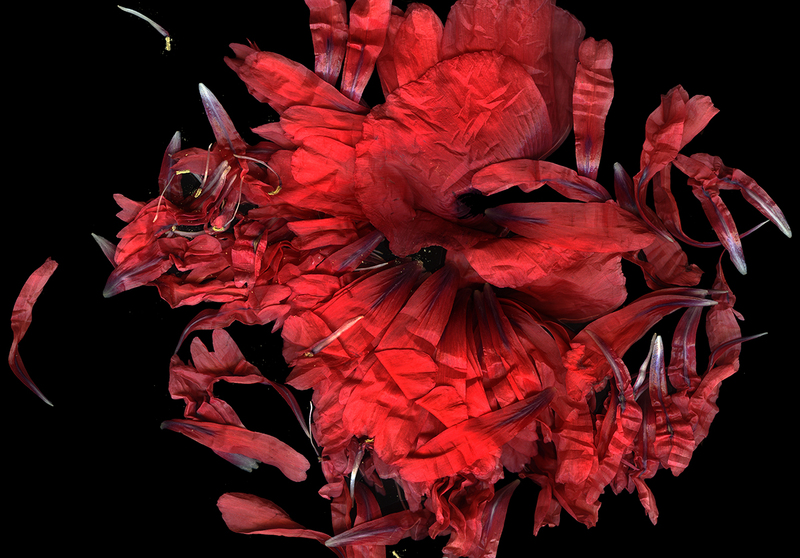 Jean-Louis Aubert produces digital prints of flowers, objects and unusual treasures . He allows us to see in them a peculiar angle on the universe, illustrated by images which explore the subject through a range of coloured tones, materials, montages and mirror effects. Simultaneouly disturbing and playful, his work reveals the fragility of every form of life and its emanating beauty . Jean-Louis Aubert lives in the region of Nouvelle Aquitaine. Creates digital prints and uses alternative photo processes : ( chemicals to change the surface of the image) for example : Cyanotype or Bichromated Gum. Keen user of the mobile phone in his photography practice. Member of the 1624 photography club. Exhibitions : Château de Tinteillac, Dordogne. "Mythes oubliés" Galerie Marland 2017 Angoulême Charente. Exhibitions and events : « Traditions Futuristes » Club Marpen, Maison du patrimoine, Tusson Charente. « Jardins de l’Art Contemporain» , Parc des Mauves dans le Loiret. « Histoire et Petites Histoires », Emoi Photographique 2017 Angoulême Charente. Blurb books : contribution to collective books : Pray for Japan, for African, United Ebola. Press : illustration for the article “Epouvante en abyme”, in the newspaper “Le Monde”.